Cover as much skin as possible by wearing tightly-woven clothing, wide-brimmed hats and sunglasses. For more information about the types of skin cancer, please refer to the following links. For more information about UV rays, please visit the following links. Q: Why is sun protection important? A: Sun protection is important because the sun’s ultraviolet (UV) rays can cause sunburn and other skin damage that can lead to skin cancer. Skin cancer is the most common form of cancer in the United States. Q: What are the types of skin cancer? A: The three major types of skin cancer are melanoma, squamous cell carcinoma and basal cell carcinoma. Melanoma is the most deadly form of skin cancer. Q: I don’t think I’m at risk for skin cancer. Do I really need to worry about sun protection? A: Yes. Anyone can get skin cancer, regardless of skin color. Everyone should protect their skin from the sun to avoid sunburns and skin damage. 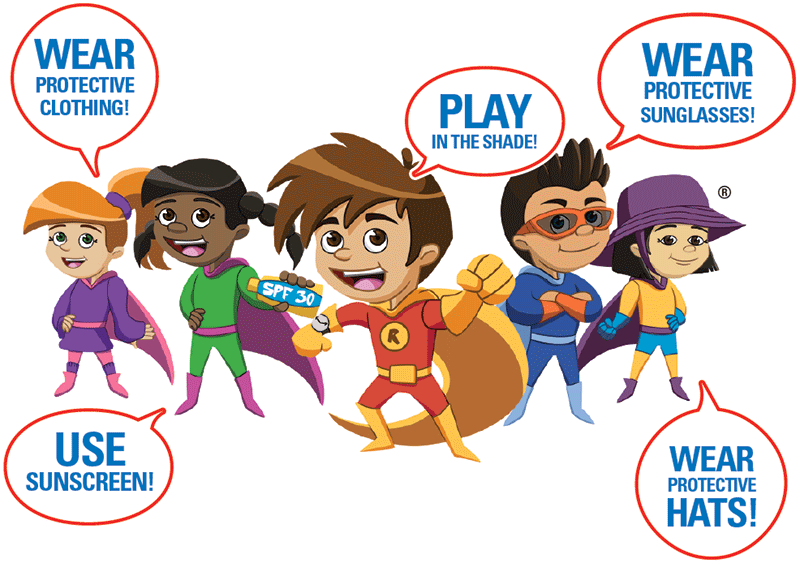 Q: Why is it important to protect children from the sun’s UV rays? A: Sunburn during childhood is a major risk factor for melanoma. It is important for children to develop sun protection habits at an early age. Q: How can I protect myself and others from the sun? 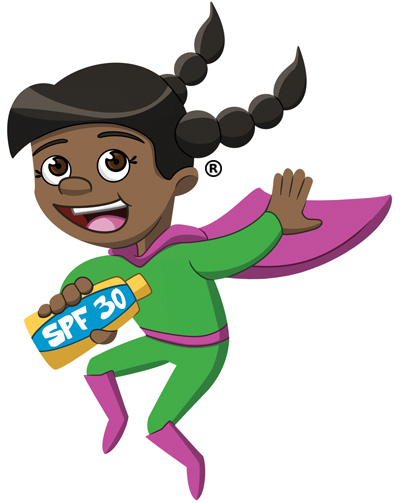 Apply sunscreen with a Sun Protection Factor (SPF) of 30 at least 30 minutes before you go outside. Reapply sunscreen every 1-2 hours and after sweating, swimming or toweling off. Q: When are UV rays most damaging? A: UV rays are most damaging during midday hours, between 10:00 AM and 4:00 PM. Use the length of your shadow to determine when UV rays are most harmful. During early morning and late afternoon, shadows are longer. During midday (10:00 AM to 4:00 PM), the sun is directly overhead, UV rays are most intense, and shadows are shorter (or there is no shadow). 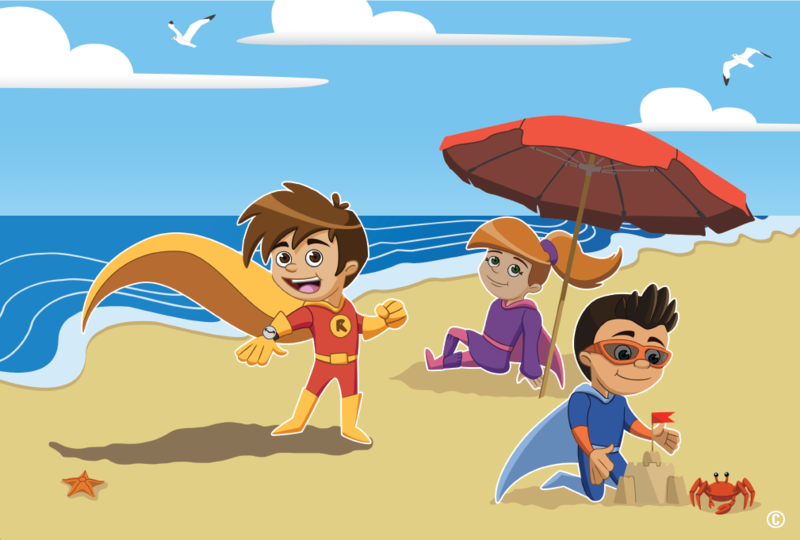 It is important to be SUPER-protected if you plan to be outside during midday hours, by using as many forms of sun protection as possible (e.g., sunscreen, protective clothing, and shade). Q: Do I still need to worry about sun protection if it’s a cloudy or cool day? A: Yes, you need to be sun safe in all climates. UV rays can pass through clouds to reach your skin. You can get sunburns on cloudy days, cool days and in the winter. Sun protection is just as important in the winter months. The sun’s rays can reflect off of ice and snow to reach your skin. Q: Are dark sunglasses enough to protect my eyes? A: Darker sunglasses don’t necessarily provide better UV protection. It is important to have sunglasses that block 99-100% of UV radiation and this should be written on the label. Q: What type of sunscreen should I use? A: Use a broad-spectrum sunscreen, which is a sunscreen that protects against both UVA and UVB rays from the sun. A sunscreen with an SPF of 30 is recommended. Sunscreen with an SPF of 15 filters out or blocks about 94% of UV rays. Sunscreen with an SPF of 30 filters out or blocks 97% of UV rays. No sunscreen will block 100% of UV rays. Studies show that most people do not apply the amount of sunscreen necessary to achieve the SPF level of protection written on the label. For this reason, it is important to generously apply sunscreen on all exposed areas of skin not covered by clothing. Also, remember to protect your lips by using a lip balm with an SPF of 30. Q: I am allergic to some sunscreens. Can I just wear a hat and sunglasses and be okay? A: It is recommended that you speak with your physician or dermatologist for sunscreen recommendations that will work for your skin. In addition, you should also stay in the shade and wear protective clothing (tightly-woven clothing that covers as much skin as possible), including wide-brimmed hats with brims at least 4 inches wide; long shorts, pants, or dresses; long-sleeved shirts; socks and tennis shoes; and sunglasses that block 99-100% of UV rays and wrap around the sides of the face. 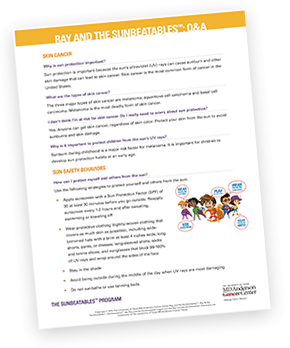 Q: Should I apply sunscreen to children under 6 months? A: When babies are outside, they should avoid any sun exposure. 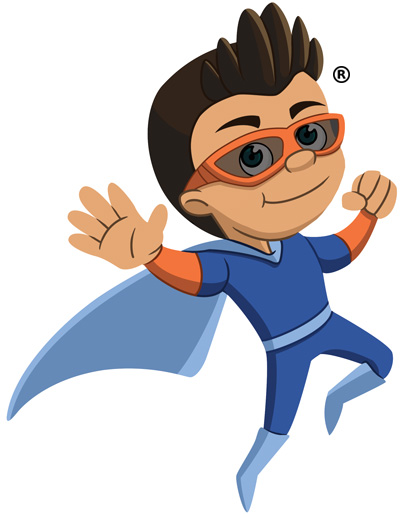 Babies should wear protective clothing such as wide-brimmed hats, sunglasses, long sleeves and pants. Babies also should be protected with a shade cover to avoid any UV exposure. Do not apply sunscreen to babies under 6 months of age. Their skin is sensitive, and compared to older children and adults, babies have more skin surface area relative to their body weight. So babies may have increased exposure to the chemicals in sunscreen, which may lead to an allergic reaction or other side effect. Q: Do I need to reapply water-resistant sunscreen? A: Yes, reapply water-resistant sunscreens as you would any other type of sunscreen. Q: What is the recommended amount of sunscreen? A: Typically you should use at least one ounce of sunscreen, enough to fill a golf ball or shot glass, to cover exposed areas of your skin. Do not forget your face, neck, ears, hands and feet and apply generously. Q: Is spray-on sunscreen as effective as sunscreen lotion? A: The US Food and Drug Administration (FDA) is currently studying the health risks, particularly in children, associated with inhaling spray-on sunscreens. For this reason, we do not recommend the use of spray sunscreens in children. Spray sunscreens may be considered by some to be more convenient, but it is easy to miss skin areas or apply inadequate amounts when using this type of sunscreen. Inadequate protection can result in sunburn. For spray sunscreens to be protective, spray generous amounts on the skin and completely rub the sunscreen into the skin before it dries. Reapply as you would any type of sunscreen. Q: Does the brand and/or cost of sunscreen make the sunscreen more (or less) effective? A: No. The brand and/or cost of a sunscreen does not tell you how effective it is. An effective sunscreen will provide broad-spectrum (UVA/UVB) protection and have an SPF of 30. Whether or not a sunscreen provides broad-spectrum protection, and the SPF of the sunscreen, will be written on the sunscreen label. Q: Does sunscreen prevent the absorption of Vitamin D? A: Sources of vitamin D include food and dietary supplements. Vitamin D is also produced by the body in response to UV exposure. The FDA has reviewed currently available data and determined that sunscreen use does not lead to vitamin D deficiency. The World Health Organization (WHO) recommends 5 to 15 minutes of sun exposure on the hands, face and arms (incidental exposure such as what you might receive running errands or walking to your car) two to three times a week during the summer months to produce vitamin D. Factors that may affect the amount of UV exposure needed for vitamin D production by the body include a person’s skin tone and the intensity of UV rays related to time of day/year, climate and geographic location. Q: I’d like to use an insect repellent this summer. Should I use a combination product that includes both sunscreen and insect repellent? A: The application instructions for sunscreen and insect repellent are very different. Sunscreen is recommended to be applied generously from head to toe and reapplied frequently. Insect repellent, on the other hand, is usually recommended to be applied less frequently and in smaller amounts. Because sunscreen needs to be reapplied frequently, combination products that include both sunscreen and insect repellent may overexpose the skin to the active ingredients of the insect repellent, potentially leading to side effects. There are some concerns that insect repellent may decrease sunscreen’s effectiveness, or that sunscreen may increase the skin’s absorption of the insect repellent. Further study is needed, and the FDA is examining the regulation of combination products. For these reasons, it is recommended that you buy separate sunscreen and insect repellent products. First, apply the sunscreen generously. Then, apply the insect repellent by following the directions on the product. Do not apply insect repellent near the eyes, nose, mouth or ears. Also, do not apply insect repellent to children’s hands. When possible, spray the insect repellent directly on clothing instead of skin. When you return indoors, wash any treated skin areas with soap and water.